Sparkle and glitz are a girls best friend so choose this diamante encrusted bride to be rosette badge. 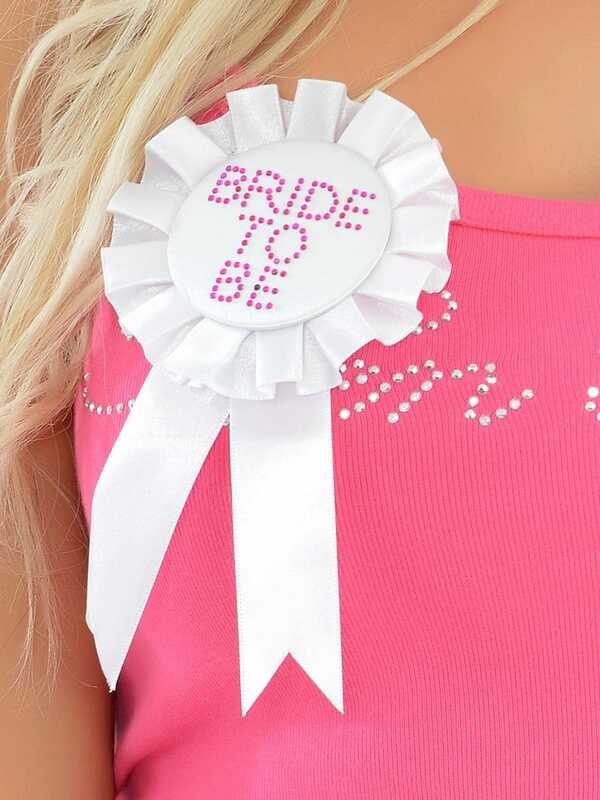 This luxury bride to be hen night accessory will add a whole other class to your hen party. With quality soft wearable material, and an attached safety pin it's never been easier to find an accessory that looks glamorous and is on in just a flash. The pink diamante stones feature a bride to be message and will glitter all night long as she dances the night away! Order this glittzy hen night accessory to complete her outfit now! Showing our 2 Bride To Be Diamante Rosette/Badge White reviews with an average rating of Excellent. Would you like to write a review? Great quality and great price really pretty and exactly as in picture.